Our mission is to lead materials information technology – to advance materials engineering and education, and to enable better, greener, safer products. Founded in 1994 as a spin-out from the University of Cambridge, Granta Design helps hundreds of engineering enterprises to manage information on the materials (metals, plastics, composites, and more) that are essential to their businesses. We help them to develop and apply material intelligence, making better materials decisions, saving time and money, and reducing risk as they optimize their products. We also provide supporting resources to thousands of university educators worldwide as they teach the next generation of engineers, scientists, and industrial designers about materials, processes, and sustainability. Dr Tatiana V Vakhitova, as part of Education Division, teaches resources development in the area of Sustainable Development. Tatiana supports educational and research institutions in Central and Eastern Europe, and Middle East. She holds a PhD in Engineering from the Centre for Sustainable Development and an MPhil from the Land Economy Department (University of Cambridge). 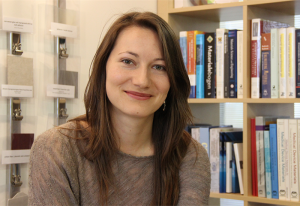 Tatiana has teaching experience as a Teaching Assistant for Engineering Management Division at the University of Cambridge and as supervisor for students at the Judge Business School, Engineering and Land Economy Departments (University of Cambridge). 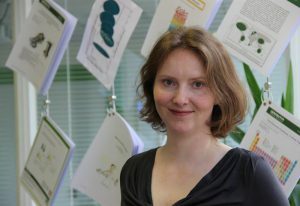 Hannah Melia leads the Teaching Resources Team at Granta Design and has responsibility for the development of CES EduPack and associated teaching resources. She has a degree in Materials Science and Metallurgy and a Post Graduate Certificate in Design, Manufacturing and Management from the University of Cambridge. She has worked in the United States and Germany on medical device design and technology transfer. Over the last 8 years she has interacted with academics that use CES EduPack around the world. Dr James Goddin is the Collaborative Programme Manager at Granta, maintaining a strategic view on Granta’s involvement in all collaborative R&D projects. 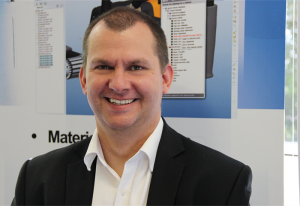 He is a registered chartered engineer and previously spent ten years at the Building Research Establishment where he consulted on materials durability issues and led a range of innovative R&D projects. Luca received his PhD in Industrial Design from the Polytechnic of Turin in 2013 having previously completed a Masters in Environmental Engineering. Luca has more than six years of Life Cycle Analysis (LCA) experience both within consultancy environments as well within the development of web-based systems for LCA and Environmental Impact Assessment. He previously worked within the Eco-data team at Granta Design where he had a particular focus on the management of reference data to support Granta tools for product level reporting of environmental impacts, restricted substances legislation, critical and conflict minerals, price volatility and the circular economy.